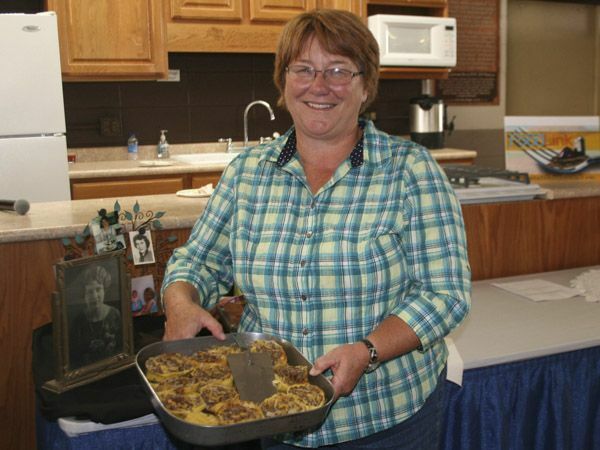 There was also a bonus recipe —well-creased instructions for making suet pudding, provided by Avis Hardie of Clear Lake. 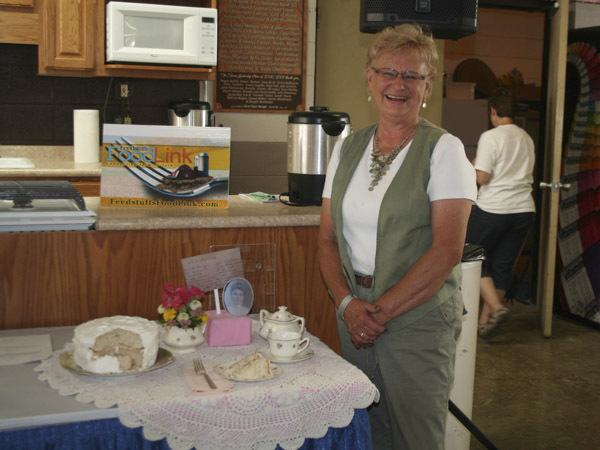 Her grandmother, Susan Jenvey Clarke Tranter, brought it to South Dakota when she emigrated from England to Hand County in 1908. Suet is the hard white fat around the kidneys and loins of cattle and other animals, and was once a common ingredient in steamed puddings. 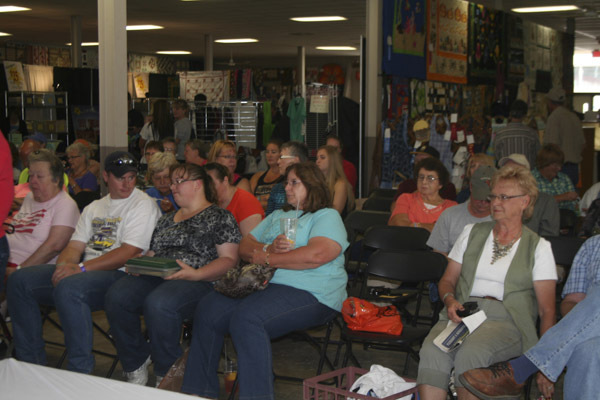 The Women’s Expo building’s demo kitchen had a nice crowd for the 2013 Heirloom Recipes contest. 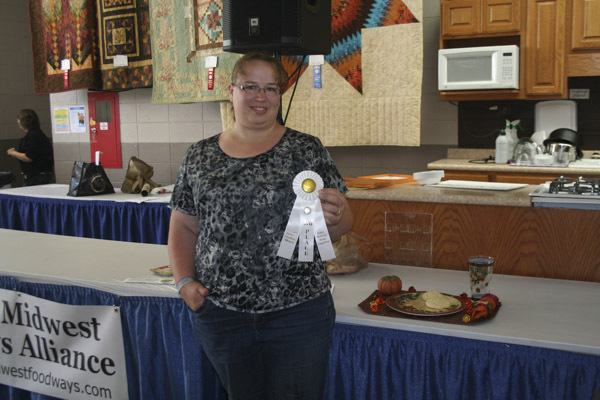 Marie Harvey of Ree Heights won first place for her kraut strudel. 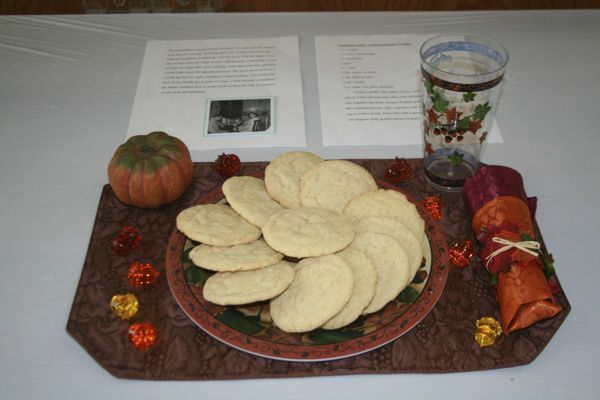 A big part of the fun at this contest is enjoying the entrants’ lovely displays. Elaine Bales of Huron took second with her cranberry pudding with butter/cream sauce. 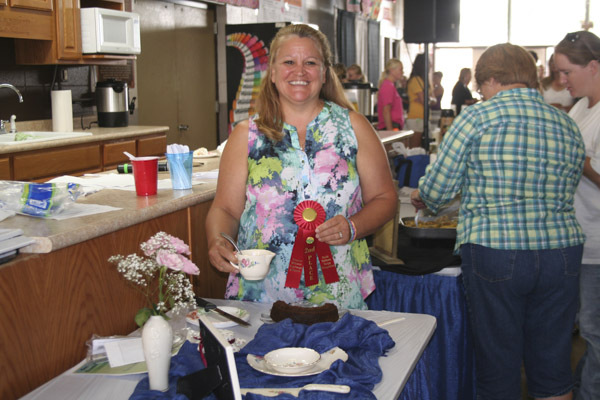 Third place went to Krista O’Riley of Arlington. 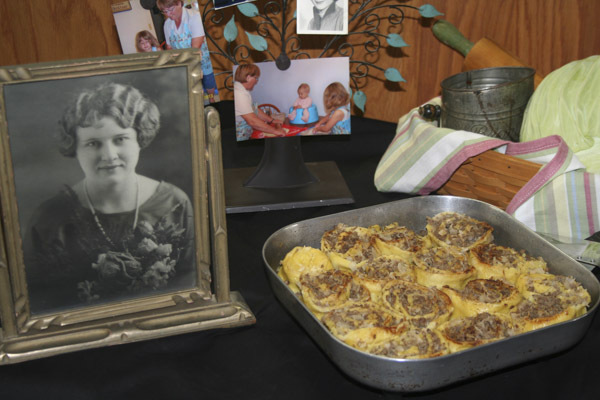 Her grandmother’s Old-Fashioned Sugar Cookies were a staple at threshing time. 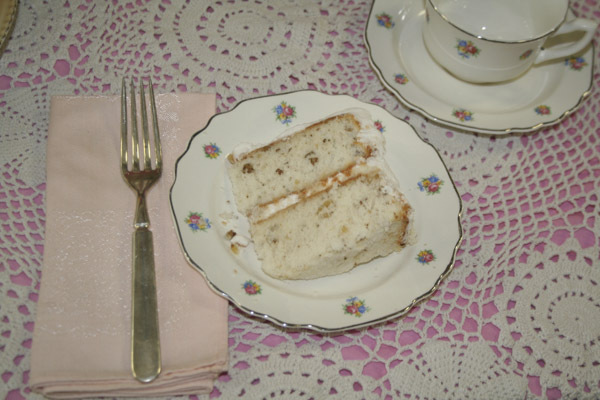 Joan Antonen of Arlington submitted White Nut Cake. 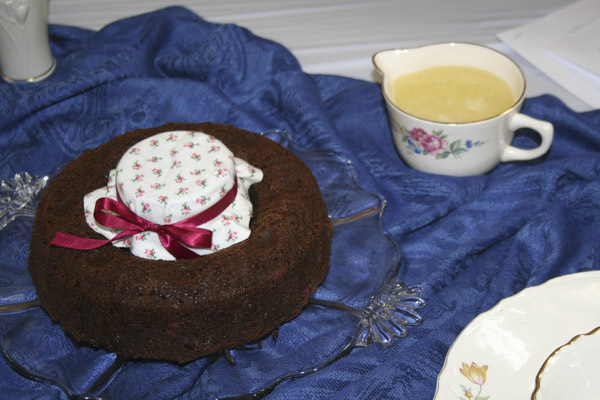 The cake was topped with Seven Minute Frosting. 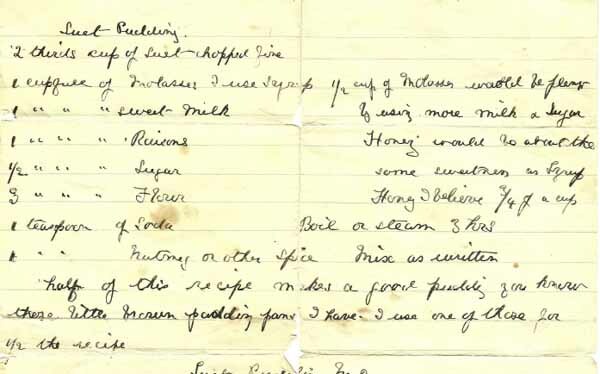 Avis Hardie brought a delicate, well-loved copy of her grandmother's Suet Pudding recipe. Growing up in Fargo ND was a little kids dream. Parents came from Farms 100 miles South of Fargo bye the South Dakota Border. I pray to God that he will take me back there one day to my homeland where the thunderstorms are beautiful and the grasses in the fields and the crops being grown.